Ewa Jasiewicz is a community and union organiser (formerly for Unite, now with the NUT) and has worked with precarious workers as well as being active in climate, social and economic justice movements at home and abroad. She is the author of Razing Gaza (Podpalic Gaze). 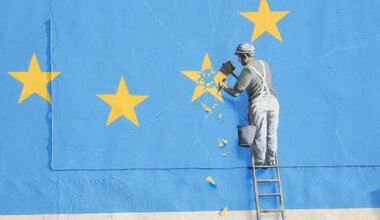 Brexit can be reclaimed as an entrance into a new political understanding, process and polity – but only if unions and Labour avoid elite-mediated solutions. An excerpt from For the Many: Preparing Labour for Power, published by OR Books.